I read this article and found it very interesting, thought it might be something for you. The article is called A Fast, Easy Way to Add Images to Your Presentation and is located at https://www.presentation-guru.com/a-fast-easy-way-to-add-images-to-your-presentation/. Subscribing to pricey image libraries is probably not something the everyday presenter would consider. 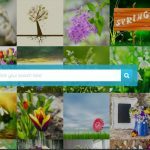 We know how time consuming and frustrating it can be to look for appropriate images, keeping in mind they are legal to use, without any copyright or resolution issues. So to help find an easy solution for all those starting out with limited design, our designers decided to try out YAY images, a subscription-based image stock that works as an add-in for Microsoft PowerPoint. So what’s great about YAY? It’s legal, cheap and hugely time saving: If you’re not a design-pro you probably detest having to search, scan and download visuals – only to delete them due to watermarks, low-resolution, or perhaps they don’t look as good. YAY is cheaper than most subscription-based image libraries, giving easy (and legal) access to a range of images at the tip of a click, making the whole process easy and less time consuming. User-friendly: Add pictures into your presentation without having to switch screens or minimizing multiple windows. The add-in is super simple to install and comfortably embeds itself within PowerPoint. Preview images with ease: If you fancy an image from the library, simply click ‘preview’ to see how it would look on the slide. No need to open another window, drag-drop or download an image just to test if it’s right. Personalised search: Enjoy the convenience of search tools, particularly the ‘people search’ feature that allows you to find images with a select number of people. You can personalise any search depending on your message, rather than look through images that don’t resonate with your presentation. Designer’s pick: goes to ‘Textspace Search’, a feature that allows the user to simply select the area on the slide where text will be inserted, and only photos that suit the layout and best meet the preference are suggested. Yay, no more struggling to fit text! Added website features: If you’re looking for something more specific, say an image that should be square, vertical, horizontal or panorama – or any other personalisation, simply click on the website button in the add-in option within your PowerPoint, which will open the website alongside your presentation. There are so many tools out there, and we understand people don’t have the time to test them out – that’s why we’ve done the ground work for you. So if you’re just starting out with limited design skills or have a limited budget for presentation design, try YAY. It’s cheap, easy and legal, providing access to an image-library and some cool search features – just a click away.